Signs Now is more than just a network of signs and graphics shops. We are an all-encompassing visual communications company providing graphic and signage design, production and installation services to businesses across the globe. Whether it’s a brand new visual identity or a redesigned external and internal graphics suite, Signs Now provides the direction and state-of-the-art technology to make sure your business is projecting the right image. We invite you to learn more about what Signs Now can do for you. 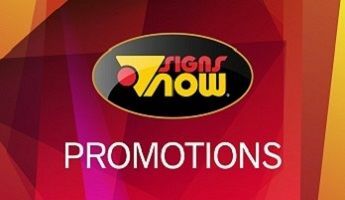 Signs Now is an industry pioneer and leader in professional graphics solutions, providing high-quality signage and printed products for a diverse clientele. We will provide you with the best indoor and outdoor signage and digital graphics solutions to help you stand apart from the competition. 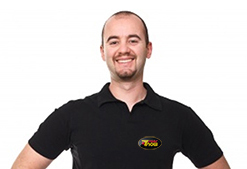 At Signs Now you will find exceptional services and great creative ideas. From sign design to sign installation, we are dedicated to perfection. Signs Now is a modern sign company that uses advanced technology to produce efficient high quality signs and solutions. We produce individual custom made signs and banners and signage solutions for various events such as trade shows, non-profit, grand openings and many other. Take a look at our event signage page to find the signs and ideas. Our centers deliver signs for the needs of specific industries such as banking and real estate, retail and more. Use our industry listing to find the signs that best fit your needs. Our centers can create a new product for you or use an existing solution that you like.